20th Century Fox’s new Alien prequel, Prometheus is one of the biggest and most underrated movies of the 2012 Summer blockbuster season. What director Ridley Scott and writers Damon Lindelof and John Spaits have crafted in this movie is a story that works not only as a standalone alien based action flick, but also a movie that connects the early Alien movies to the more recent Alien vs. Predator movies. Add in spectacular special effects and audiences have a movie that is not just one of the Summer’s top movies, but also one of the year’s best.Prometheus has largely been received to mixed reviews. But one has to wonder if those who had their doubts about the movie had any experience with the previously mentioned movies. Those who have any knowledge about the original franchise and the comic books will recall that the aliens were created by the predators. Thus the movies in the AVP franchise. Now it’s obvious that the engineers in Prometheus look nothing like the predators from the early movies. But Scott and his team of writers do make it clear that the aliens were created by something. So that being noted, they at least made the attempt to keep some form of continuity in the alien universe. Fans of both franchises should be impressed by this. While the “engineers” in Prometheus likely have no connection to the predators, it is noted that they were created. The difference here is that in the case of this story, Scott and his writers put in a classic story of aliens intending to invade Earth. Essentially, the “engineers” created the aliens in question to destroy humans. So it leaves the question wide open, did the “engineers” really create humans? Or did they only create the alien species just for the sake of taking over Earth. Late in the movie, Elizabeth (played by Noomi Rapace) mentions to David that she still believes the “engineers” created humans. And that she deserves to know why they changed their minds and decided to kill them. But David’s retort was does it matter why she wants to know why they changed their minds and decided to kill the human race? This generates the whole theological versus scientific discussion concerning where man came from. Even in the twenty-first century, there are those who believe that man was created not by God, but by other beings from other worlds. It’s an interesting topic. The way in which Scott and the writers approached the topic for this story, made the movie that much more interesting. Adding to the interest of the general story is the bonus deleted and extended scenes feature on the new Blu-ray and DVD release of Prometheus. At one point, audiences are offered an extended version of the aforementioned discussion between Elizabeth and David. It goes into more depth about the whole back story of the alien origins and the belief of whether or not the “engineers” really created man or if it was God. The deleted and extended scenes feature (especially with the additional commentary) are proof positive of how much bonus features can do for a movie. Seeing all of the noted scenes adds an extra level of depth to the overall viewing experience. 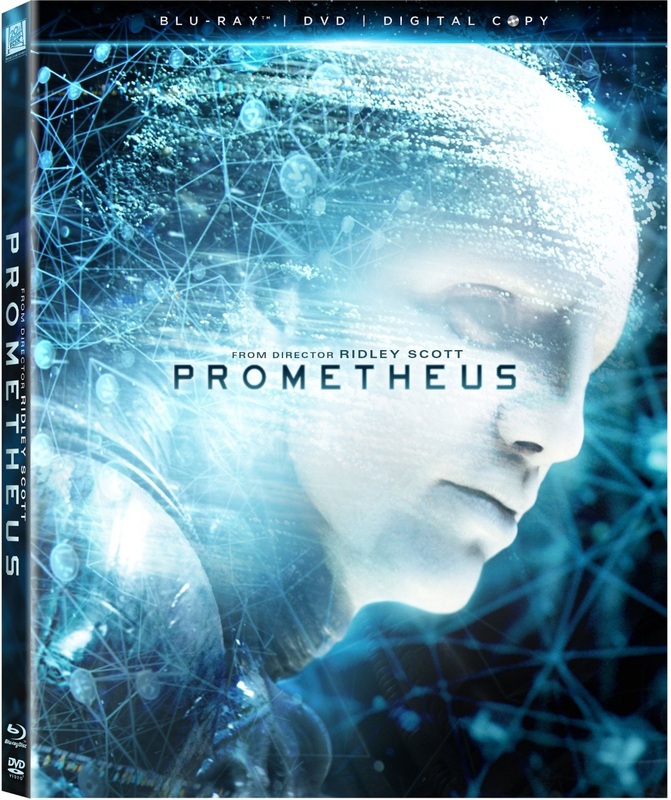 Perhaps those who criticized the movie while it was in theaters will have a different view and appreciation for Prometheus after watching it again at home along with the bonus features.